A swanky pool table and your own personal version of the Rat Pack. All you need now is a ceiling fan that will work well in a large, open indoor space. The one shown in the game room above is Signal, which has a handsome, industrial look. It also provides ambient lighting, so think about the placement of your signature games when creating your room’s design. Note how in the photo, the fan is directly over the pool table. In this kitchen, a graceful Symphony style is used to maximum effect. The elegant lines and matte nickel finish give it a modern look appropriate for use in MCM homes. 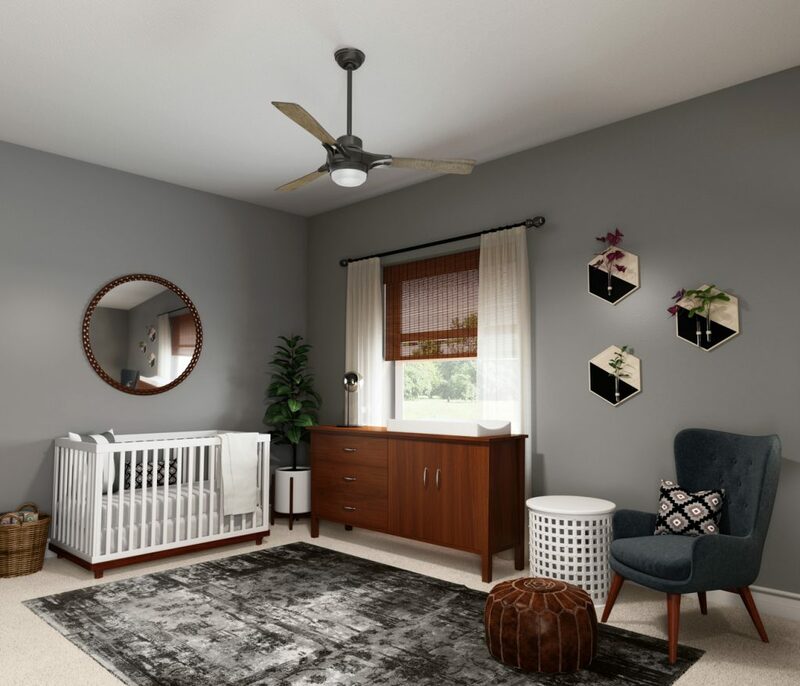 This model, however, has a 21st-century upgrade: part of Hunter’s SIMPLEconnect™ Wi-Fi® Collection of smart home ceiling fans, it can be controlled via home automation systems. Did you know you have an extra room on your house? 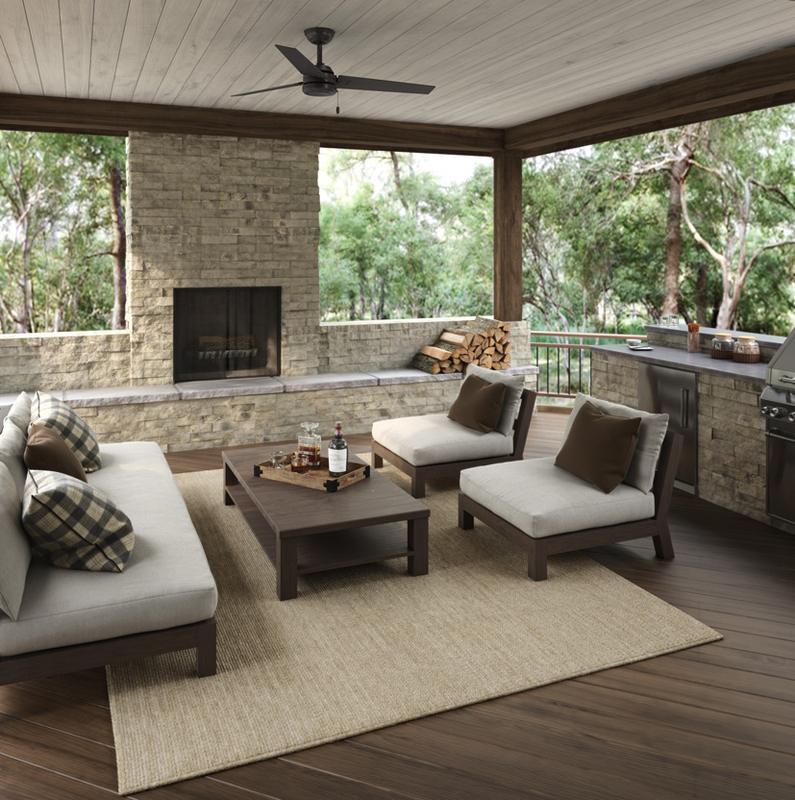 If you have a porch, patio or sunroom, turn it into a true indoor-outdoor room, with the addition of a ceiling fan (or fans, depending on how big your space is). Now you can entertain and relax in a cooler, more pleasant spot. 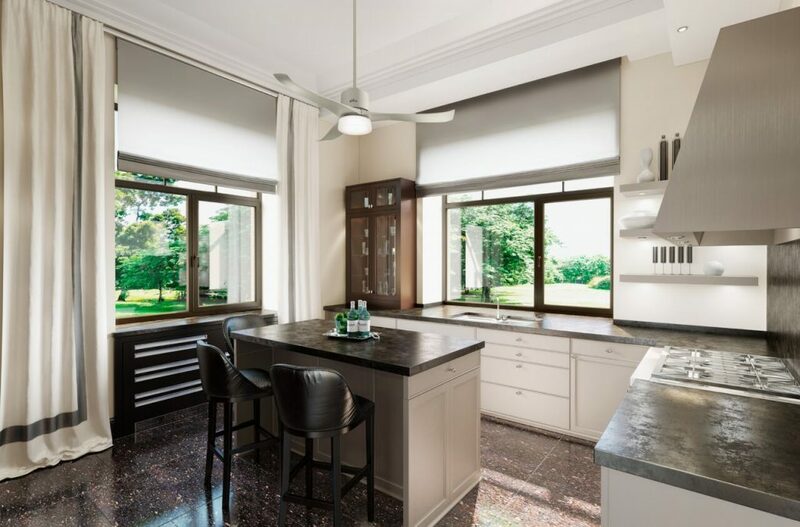 Because of increased humidity outdoors, you’ll want to choose a fan that is damp rated, meaning the parts are designed in a way to keep the electrical components dry. The Cassius model shown above is showcased in a room that features a casual, tropical update to midcentury lines. 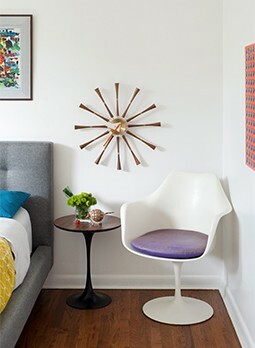 With a design that calls to mind midcentury aviation, a Signal works here, too. It’s both fashionable and quiet; ideal for a nursery. 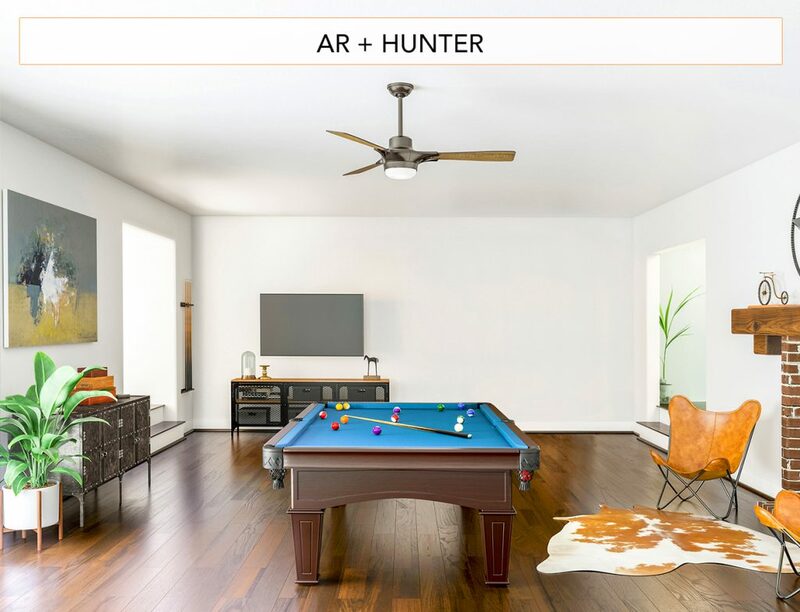 It’s also part of Hunter’s SIMPLEconnect™ Wi-Fi® Collection of smart home ceiling fans, meaning it can be programmed via your mobile phone and other smart electronics. Dimmable bulbs in the ceiling fan’s light mean you have complete control over the room’s ambiance. Time for bed, kiddo. For more ideas on how to create a stylish game room with Hunter, click here.